Complete air protection for pet owners. Eliminate pesky pet odors and dander with the triple filtration technology of the Hamilton Beach® TrueAir® Compact Pet Air Purifier. 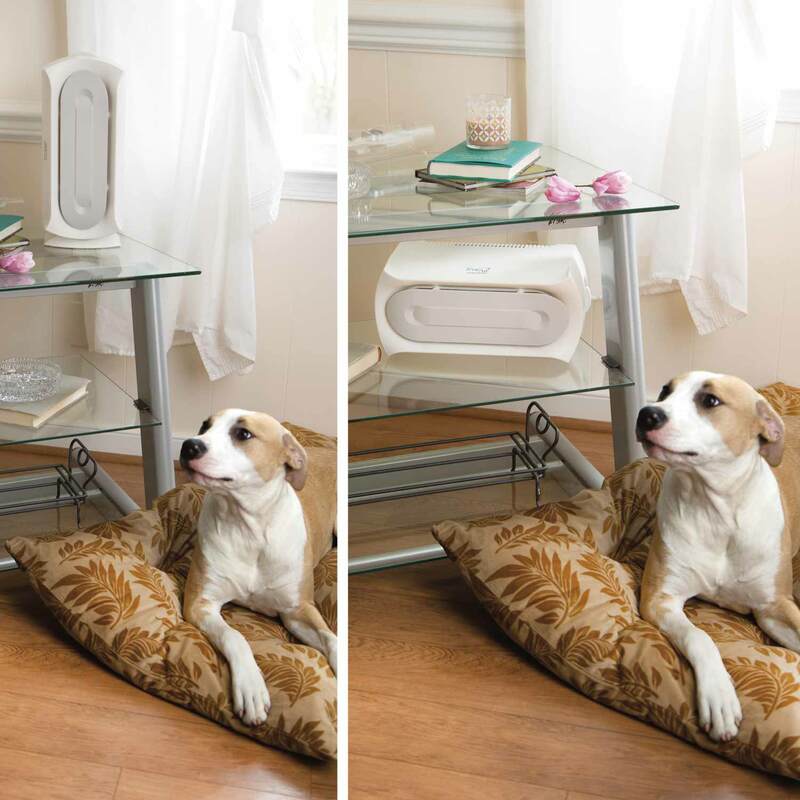 This high-performance system includes a permanent pre-filter that captures pet hair and large particles, 2 zeolite filters to target pet odors, and a permanent, HEPA-grade filter for capturing small particles as small as 3 microns. 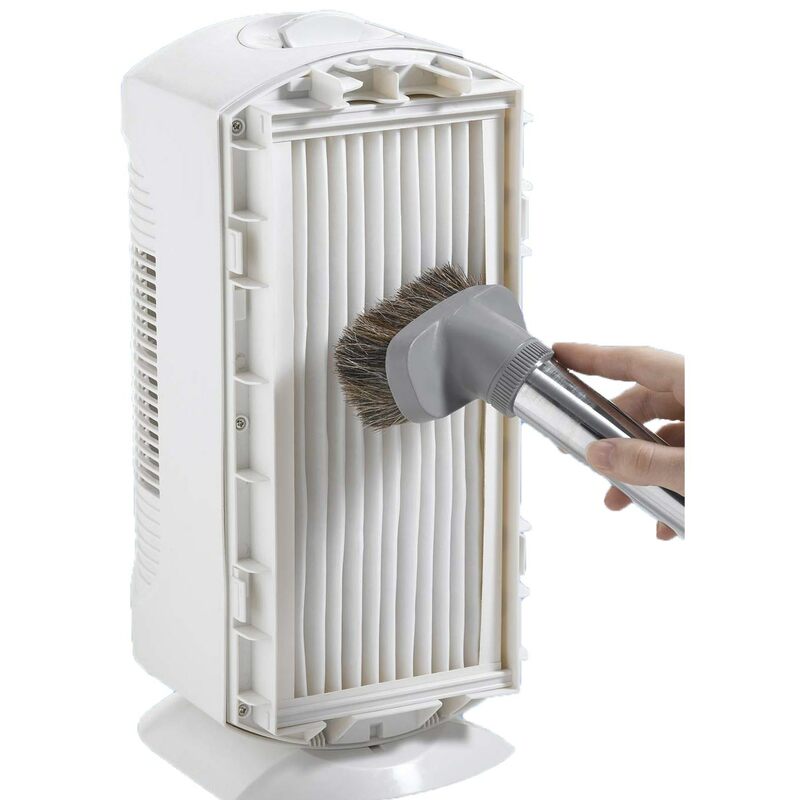 The permanent filters easily vacuum clean for minimal upkeep. 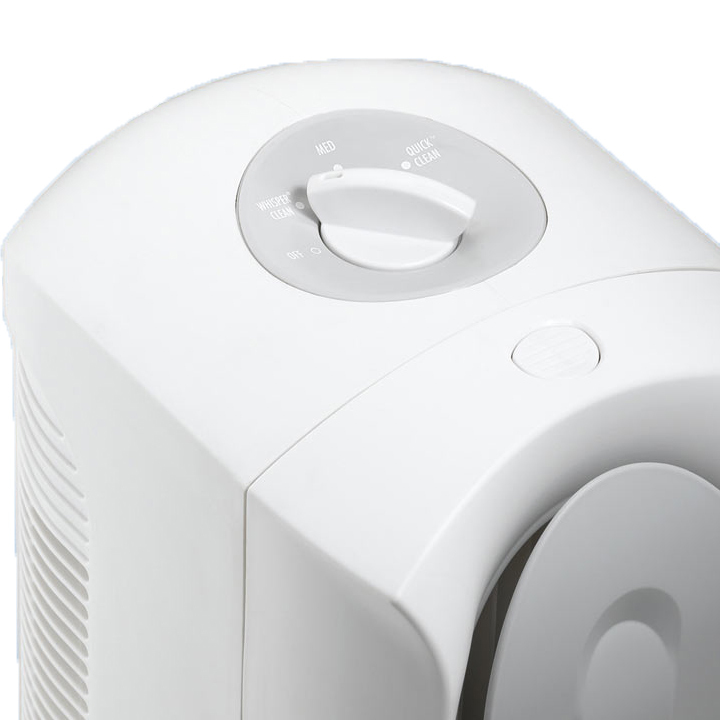 Don’t let its compact size and ultra-quiet operation fool you – the TrueAir® Compact Pet Air Purifier can provide powerful air cleaning to large rooms up to 140 square feet, making it ideal for bedrooms, offices and dens. It’s not only compact and quiet, but it also works vertically or horizontally for maximum versatility. Breathe easier with air that’s been triple filtered. 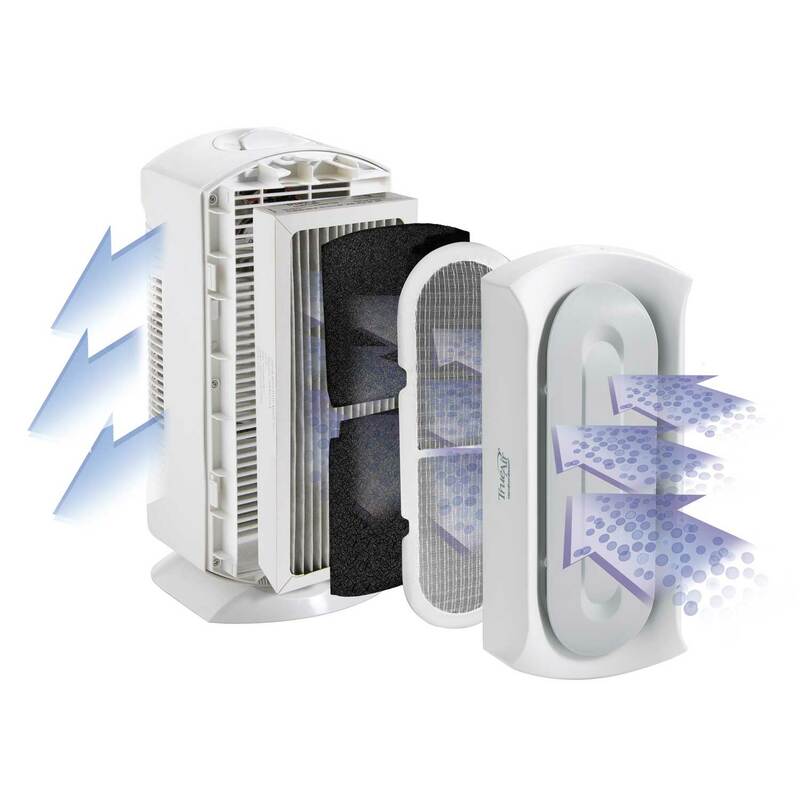 Three filtration stages include a permanent pre-filter for pet hair and large particles, 2 replaceable carbon zeolite filters to target pet odors and finally, a permanent, 99% HEPA-grade filter for capturing small particles – such as airborne dust mite debris, mold and mildew spores, smoke and pollen. The TrueAir® Compact Pet Air Purifier won't break your budget – it’s pre-filter and HEPA filter are both permanent and never needs replacement. They simply vacuums clean for minimal upkeep. 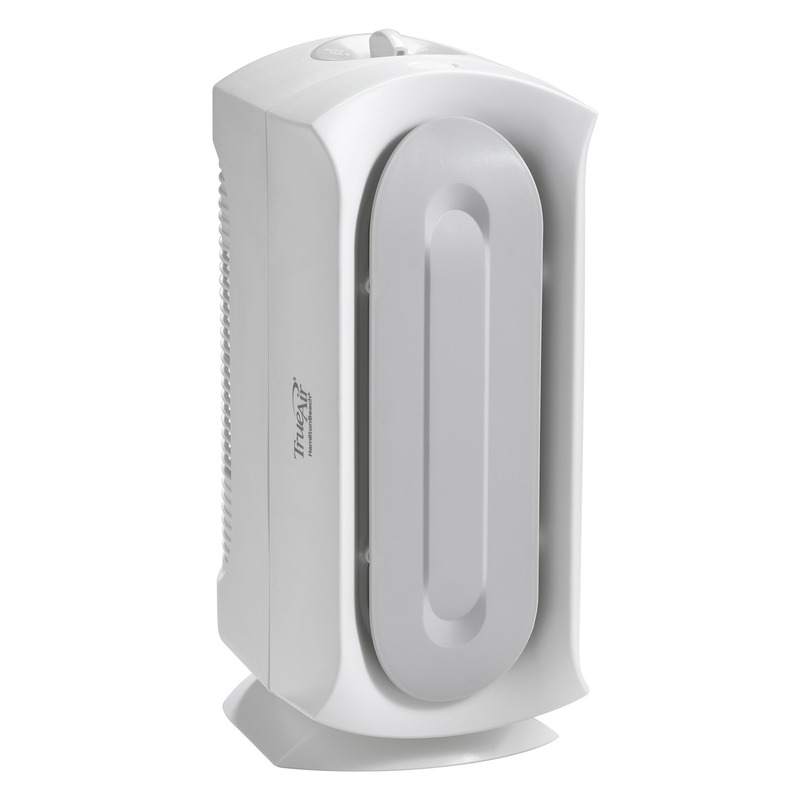 With an ultra-quiet motor and fan, you’ll hardly hear this air purifier while it’s on. Three speeds gives you ultimate control. Set on high for the fastest air cleaning, medium for all-day use, or low when extra quiet is needed.